I adore the name of Doug and Kyle's company, Passionate Fan, because aren't we all passionate about our teams? 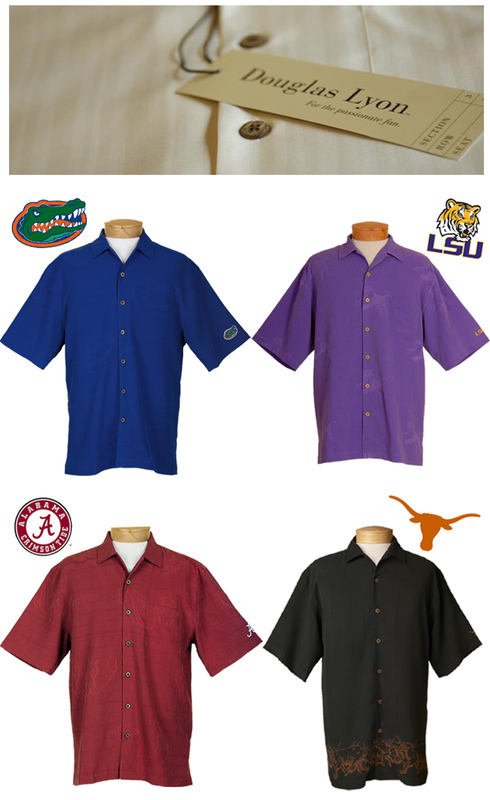 And shouldn't our gameday fashion reflect that passion? Passionate Fan started in 2005 and is "a line of comfortable, meticulously crafted apparel made from the finest fabrics and accessories. Every stitch and every detail is customized for each school." The team logos are woven into the fabric in a subtle and unique way that's very impressive. It's hard to capture all of the details online, but trust me when I tell you these shirts are very stylish. When my husband first tried on his Passionate Fan shirt, he was immediately struck by the quality of the silk and the fit. You guys have two more fans over here at Stylish Gameday. Thanks!